I was thrilled to see the joint GroupM and Nielsen research published recently on the UK Search Marketing Landscape. If you missed it, Danny Goodwin’s blog post, “Organic vs. Paid Search Results: Organic Wins 94 Percent of Time” is a great summary. With this study, marketers and search marketers have, for the first time, vendor-neutral data containing evidence of organic search click-through rates (CTRs). As a quick recap, the research concludes that 94 percent of searchers click through on organic search results, and that the top three positions in Google earn 61 percent of the clicks. These numbers aren’t far off the numbers I’ve used for years when describing the importance of SEO in a marketing budget as well as ranking on Page 1 for the keywords prospects are searching on to find your organization. The GroupM and Nielsen numbers simply (and strongly) validate the importance of an on-going SEO strategy. A significant disconnect, however, continues to exist between the impact that SEO can have on impressions, click-throughs and lead generation compared to PPC and the representation each receives in a typical marketing budget. Take Forrester’s U.S. Interactive Marketing Forecast, for the years 2011 to 2016. Marketers are spending and will continue to spend, on average, 88 percent of their search marketing budget on paid search campaigns to access just 6 percent of the available click-throughs, and 12 percent on organic search in attempts to reach an astounding 94 percent of the available click-throughs. The purpose here isn’t to convince marketers to shift their marketing spend, nor is it intended to discount one marketing tactic over the other. (I believe there is a time and a place for all marketing tactics within a given strategy). The purpose is simply to take a closer look at SEO as a line item in a marketing budget and other marketing tactics that affect SEO. 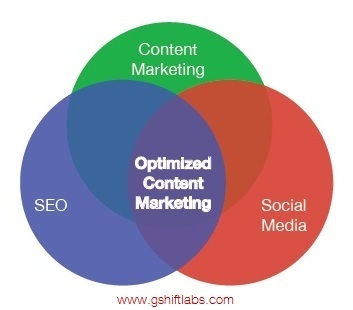 SEO cannot be done without content creation in the form of on-site content optimization and off-site optimization (i.e., blogs, press releases, case studies, how-to guides, videos, etc. ), yet content marketing is often a separate line item from SEO, and unfortunately a lot of off-site content isn’t optimized for SEO. The most direct link between SEO and social media is Google+ and Search plus Your World. If you haven’t yet started to build out your personal and business Circles, please do. A piece of content shared through your Circles has an opportunity to be found by your followers through Search plus Your World – before your competitors’ content is found. Many organizations have a PR budget that doesn’t factor into their SEO budget. So although PR efforts may be impacting SEO, they could be positively impacting it even further if the PR content was optimized for keywords driving traffic. If you’re an SEO professional, but not yet involved in your clients’ social media, PR and video production efforts, talk with them about the importance of bringing these tactics together for the overall benefit of SEO. If you’re a marketer and are working with different professionals or employees on each of these tactics, it’s worth your time to bring the different disciplines together in attempts to optimize all content across your web presence for keywords that are driving targeted traffic and conversions. This approach will give you a better chance at reaching the top of Google for your converting keywords and the opportunity to enjoy awesome organic click-through rates!